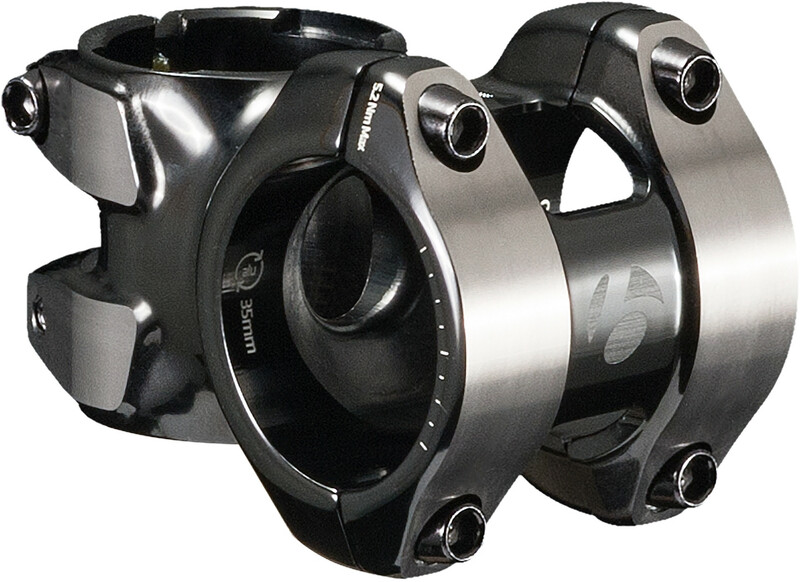 A pro-level quality stem in an oversized 35 mm clamp diameter for increased strength and minimal weight. Forged from 6061-T6 3D aluminium. Laser-etched calibration marks make dialling in the perfect angle simple and repeatable. Compatible with both Knock Block and standard head sets and spacers. The Knock Block system protects the frame from impacts by fork and handlebars by eliminating over-rotation of bars. High-strength corrosion-resistant steel bolts to ensure the freshest look for longer. Available in a wide range of sizes for today's mountain rider. Safe for carbon bars.